Cloudlifter CL-4 Mic Activator is based on Cloud’s award-winning Cloudlifter technology that converts phantom power into an additional +25 dB of ultra-clean gain for low output dynamic and ribbon mics. 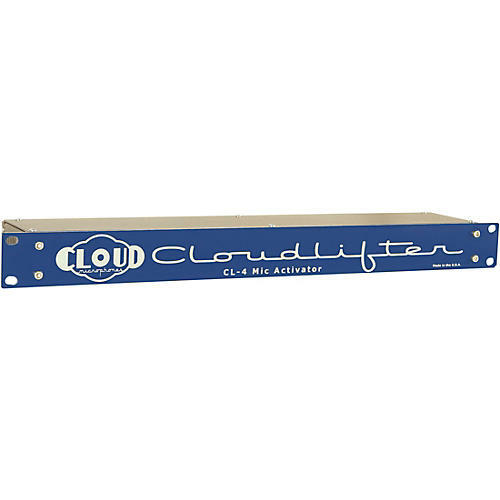 Cloudlifters solve problems posed by noisy preamps and can be used to drive stronger, cleaner signals over long XLR cable runs. The single rack space CL-4 is simple and compact, featuring four rear-mounted sets of balanced XLR inputs and outputs and is ideal for broadcast, live sound, public address, and professional studio applications.